Following in the tradition of the original UK Up Series, this documentary revisits a group of Russian children at seven-year intervals to track their development against a backdrop of social and political change. Following the success of the UK original, this film looks at life for a group of young people from the former Soviet Union. The adults here, all introduced to viewers at the age of seven and seen again at 14, were born in a country that no longer exists. Their stories provide an insight into the break-up of the former Soviet Union as well as a reflection of what life has become without Communism. Since filming started 14 years ago, some of the youngsters have left the former USSR to go to Israel or the United States, some have stayed in their family home, but all have had their lives changed. Archival footage of them at the ages of seven and 14, and now new material at 21, shows life in a society that was once shut off from the world. 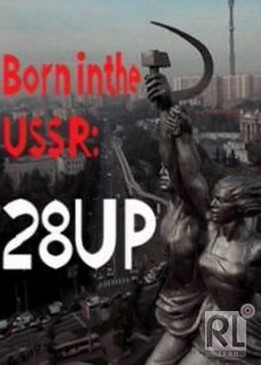 The documentary was followed by Born in the USSR: 28 Up in 2012.